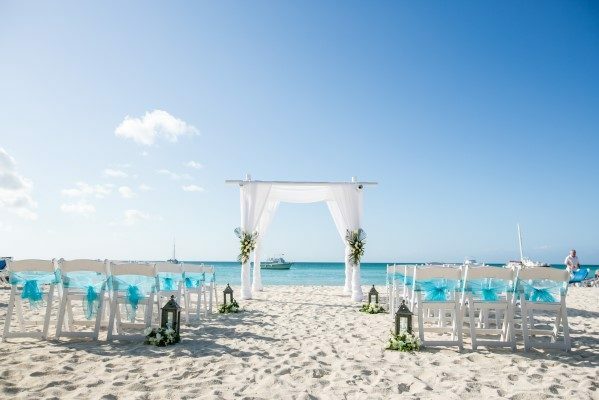 Hotel RIU Palace Aruba sits on stunning Palm Beach which would be a perfect location for a beach wedding ceremony. 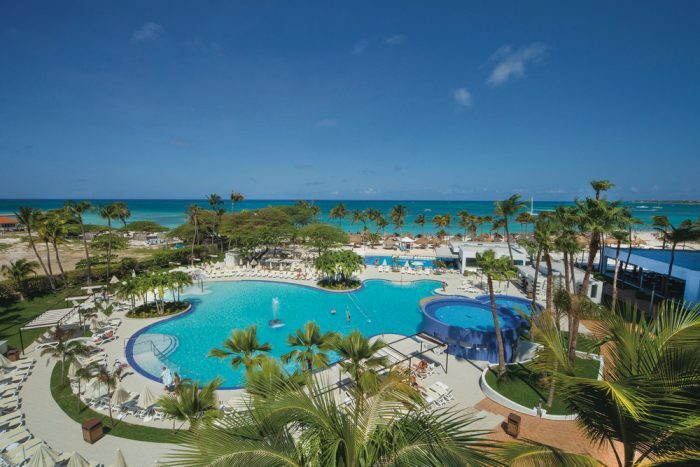 The beautiful pools, fountains, and palatial decor merge directly onto the beach with Aruba’s signature green Caribbean waters. 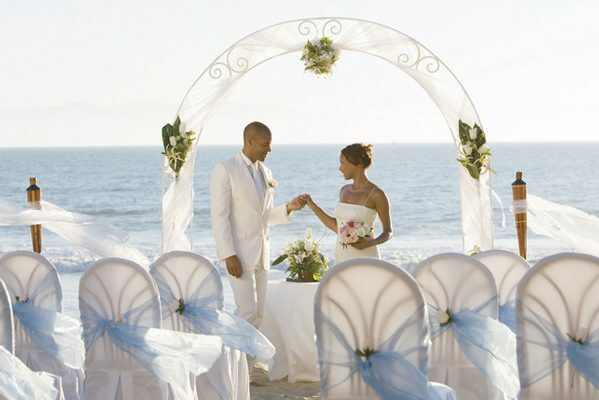 A destination wedding here would invite all of your guests to paradise, with plenty of shopping and entertainment nearby. 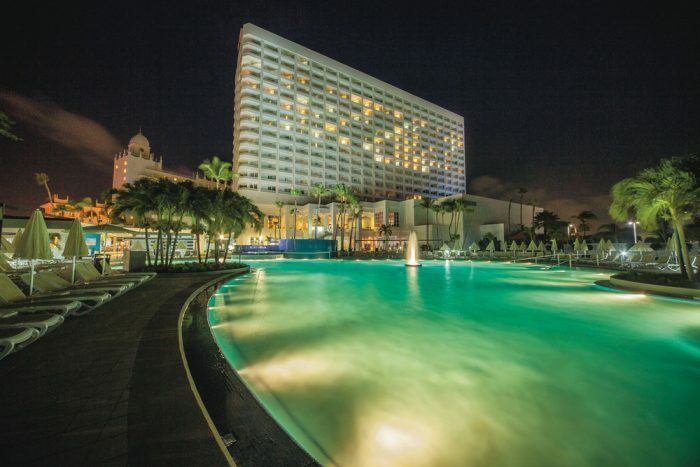 Entertainment options include a nearby district with plenty of shopping and further dining beyond the all-inclusive options and a popular casino with gaming machines. Although the resort offers a kids club, the resort is better suited to wedding groups made up of adults looking to party, with liquor dispensers in every room and drinks offered 24/7. The surrounding area feels like a friendly haven to explore night and day thanks to the welcoming multi-lingual locals. Classic package welcomes just the couple and begins at $1599. The Royal Package, displayed above, welcomes 20 guests. Upgraded packages, additional guests, and add-ons are available for an additional cost. Beach – 100 guests max, Gazebo – 100 guests max, Garden – 100 guests max. 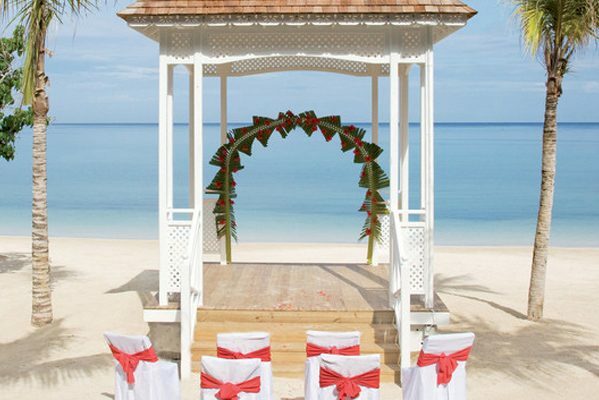 The RIU Palace Aruba can host up to 3 weddings per day. $300 – $330 average price per person per night. Rooms include private balcony or terrace, daily restocked minibar, and liquor dispenser. Children 2 and younger stay free. There are 450 rooms with resort and ocean views. 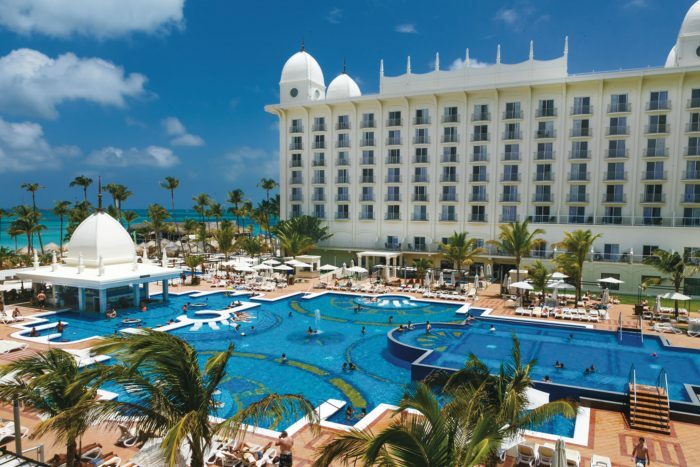 Due to the sprawling property grounds, RIU is recommended for more active guests. 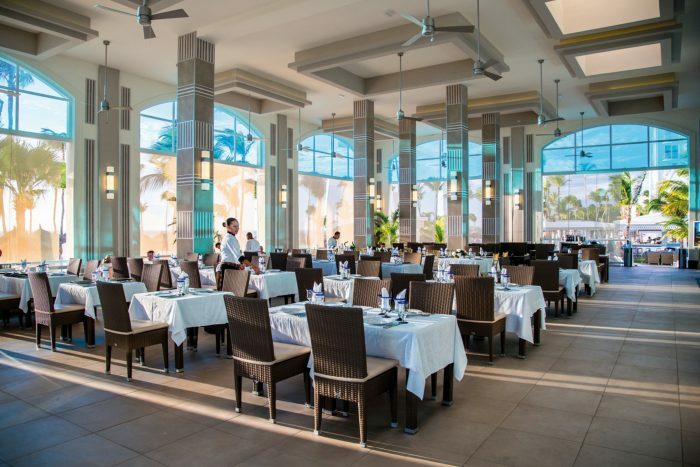 Exchange privileges with RIU Palace Aruba are available, allowing for dinner at their buffet restaurant only. The RIU’s busiest months for weddings, as recorded by their wedding department across the multi-resort complex, with highest chances of sell-out, are March through July. The resort is located 7 miles from the AUA airport.